First off, apply a small amount of serum to your fingers and massage into clean, dry skin, after toner if applicable. The serum itself is quite watery and the pipette will release quite a bit of product onto the fingers pretty quickly, so be gentle as you press it so that it doesn’t produce way more than you need. Once the serum has absorbed, follow up with the moisturiser. If wearing during the day, don’t forget to follow up with a sunscreen (even if it’s not a hot, sunny day) as retinol can increase the chance of sun damage. When I first started to use the serum and moisturiser, I began using them both twice a day. After just a couple of days my skin began to feel really irritated, so I decided to wait a couple of days and try again. My face felt sensitive all over, but more so in particular areas. In addition, a few tiny white bumps were appearing on my face before disappearing again later on in the day. They weren’t noticeable unless you looked up close, but I could tell they were a reaction to something rather than being regular spots, most likely purging. 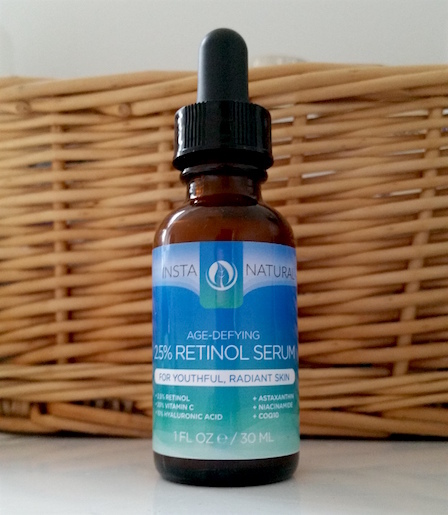 When using a retinoid, this can occur. I haven’t used a product on my entire face that contains retinol for a while and even still, the products that I have used in the past didn’t contain as much retinol as these, so it took a bit of time to re-adjust. After the irritation had calmed down again (it took around 2-3 days), I began to use the serum every other night and the moisturiser every night (which I am still doing at the moment), before building up to using them both every night. 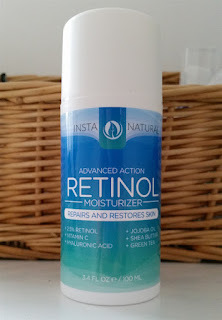 I also recommend waiting for around 10 minutes after washing your face before applying retinoids if your skin feels a little out of sorts after beginning to use them. In addition to the above, I also suggest using the bare minimum of product that you need. Don’t use extra, instead just use tiny bits at a time until you’ve covered your face and don’t apply extra. No more irritation has occurred since I have been applying it this way and instead my skin texture is improving. The results are noticeable already which is fantastic. The skin is left looking smoother and fine lines look reduced. It also looks more even. It’s hard for me to critique the two separately as I began using them at the same time as a pair and from what I can see they are designed to work together to achieve the same goal. One thing I can say though is that the serum is the harder-worker of the two and is the one that caused me more irritation, hence why I am still only using it every other night. As I don’t have deep wrinkles, I cannot pass judgement in this area, but in regards to skin texture and firmness, I can say that these are working really well. Blemishes and post-blemish marks clear up really fast and my face feels smooth too. The results don’t happen overnight, but as long as you give them time to work their magic the improvements really are noticeable. If you are mainly concerned about blemishes, InstaNatural also sell a retinol serum that helps to combat them too (which you can find here). 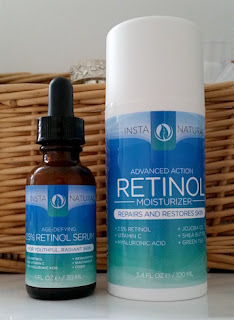 You can purchase a bottle of InstaNatural’s Retinol Serum for £21.95/30ml from Amazon and the InstaNatural Retinol Moisturiser for £19.95/100ml also from Amazon. What are your thoughts on InstaNatural’s Retinol Serum and Retinol Moisturiser? Have you tried any products by the brand?